Rumor mill: We’re still a month away from the official launch of the Galaxy Fold, but Samsung is reportedly planning to release two more foldable phones in the near future. One is said to be a clamshell device, while the other will resemble rival Huawei’s Mate X. With the $1,980 Galaxy Fold set for a limited, luxury launch on April 26, it’s difficult to gauge how much demand there will be for these expensive devices. But according to a Bloomberg report that cites people familiar with the matter, the Fold definitely won’t be the last handset from Samsung that bends in half. Either late this year or early next year, the company will unveil a vertically folding handset where the screen is hidden on the inside when closed, making it sound a lot like Motorola’s compelling Razr flip phone concept. There may be an extra display on the outside, but that hasn’t been decided yet. Following the release of this clamshell-style device, Samsung will unveil another foldable. Rather than bending inwards as the Galaxy Fold does, this one folds out, much like the Mate X. While we haven’t had a close look at Huawei’s upcoming handset, most agree that it appears to be an improvement over Samsung’s design—though it does cost $2,600. One issue buyers may have with the Galaxy Fold is its durability. Samsung is said to be working on an issue where a crease appears in the panel after it’s been folded around 10,000 times. The company is even considering offering free screen replacements once this occurs. Given the near two grand price, that sounds like a smart move. 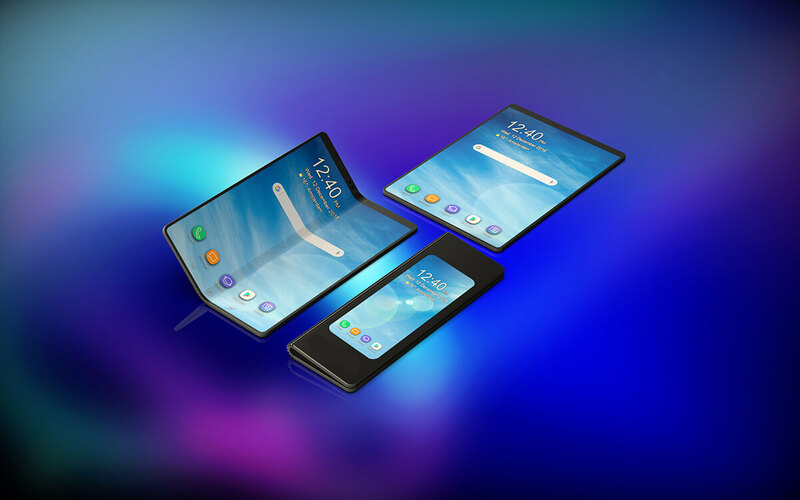 There have also been reports that Samsung could supply its foldable screens to other companies, including Apple. Barring a patent showing a clamshell device, the iPhone maker has been quiet when it comes to foldables, though company co-founder Steve Wozniak thinks it should hurry up and jump on the bandwagon.